Secret Societies NWO Cults / Symbolism / Mystery Religions / Re: Notre Dame Fire April 15, 2019 - Architect Suggests Arson ? Media: "So your're telling us that this type of timber doesn't burn like that?" (1) The media is on over drive to give maximum coverage. This is because they approve, where as the recent protest of 20,000 in London for Solider "F" received a relative press black out, only making the back pages. When they approve, it gets maximum publicity, unlike say the Yellow Vests. (2) Half a million pounds of mystery funding. Go look at the pictures, the glossy web site, and ask your self if this the product of genuine enthusiasts who probably are on benefits, or are they the daughters of Baronets. Trust me, none of the ring leaders work the till at Tesco. Look for yourself, they are the sons and daughters of the ruling class, not the working classes. (3) The provacteures, the anarchists, the petty thieves and chancers are notable for their absence. When they want to provocateurs hurl stones and petrol bombs at the police, to disappear. Next the police respond to the violent crowd withjustifiable force like riot shields and battons on the genuine protestors. Followed by mass arrests and kangaro appearence before the magistrates. NO. The exact opposite has happened and its co-oridnated policy from above to the police on the ground. Its staged and yet insidiously effective Fabian tactics that will fool a large chunk of the general population who pay scant attention to the news as mere background noise as they scoff their cornflakes. 'Countless churches throughout Western Europe are being vandalized, defecated on, and torched. 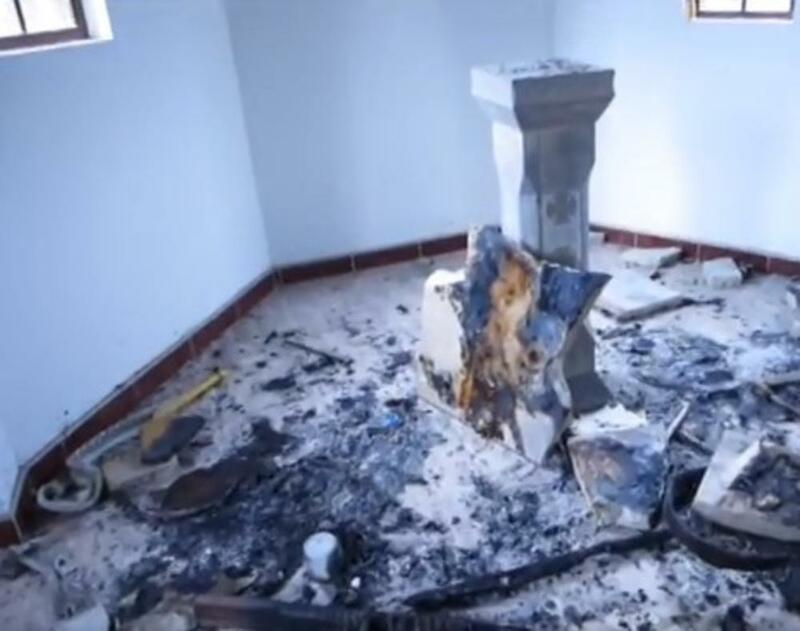 Read More : European Churches: Vandalized, Defecated On, and Torched "Every Day"
But Muslim "Vandals" "doing there job" in Visoko, Bosnia and Herzegovina. General Discussion / Re: New World Order - Launches "Extinction Rebellion"
'A leading Extinction Rebellion activist who said that “air travel should only be used in emergencies” lives a jet-set lifestyle, taking skiing holidays, visiting global landmarks and enjoying walks along palm-tree lined paths. Robin Boardman-Pattinson walked out of a television interview after being branded “incompetent, middle-class and self indulgent” by Sky’s Adam Boulton, but The Telegraph can reveal that climate change is not the only cause which he fights for. The 21-year-old is a serial protestor, who has railed against Dominos Pizza, Bristol Magistrates court, Toby Young and Bromley Council. He’s also campaigned against the expansion of Heathrow airport, supported Muslim women wearing Hijabs and Niqabs and asked for retail space in Bristol turned into a slave trade museum. But while Mr Boardman-Pattinson rallies against climate change, he has taken at least three skiing holidays in recent years, and has posed for photographs in front of the leaning tower of Pisa. He was unavailable for comment. DAVID BLUNKETT: Why hasn't the full force of the law been used against these eco anarchists who fill me with contempt?